Strathspey Thistle cruised to a comfortable victory over Highland League strugglers Fort William on Saturday at Seafield Park. A hat-trick from Ross Naismith and a brace from James Fraser were enough to secure the three points for the Grantown-on-Spey club which takes them up to 13th in the league, while the Fort remain firmly rooted to the foot of the table. The home side found themselves 4-0 up just after the half hour mark and were comfortably dominating proceedings. The Fort did manage to regroup after the fourth went in and created some chances of their own. David McGurk’s volley sailed over the bar from a close distance before a Sean Grant’s effort was blocked just short of the line by the Thistle defence. After the half-time break, the Fort were able to exert more of an influence on the match with Strathspey ‘keeper Michael McCallum being called into action by Grant early on. The Fort’s breakthrough finally came courtesy of Jordan Morrison, who danced through the Thistle defence before slipping the ball under the on-rushing goalkeeper and into the net. The visitor’s celebrations were cut short, however, after Ryan Henderson conceded a penalty in the 70th minute which was duly dispatched by Naismith to complete his hat-trick. Soon after, the Fort were reduced to 10 men after Sean Grant received his second yellow of the game. 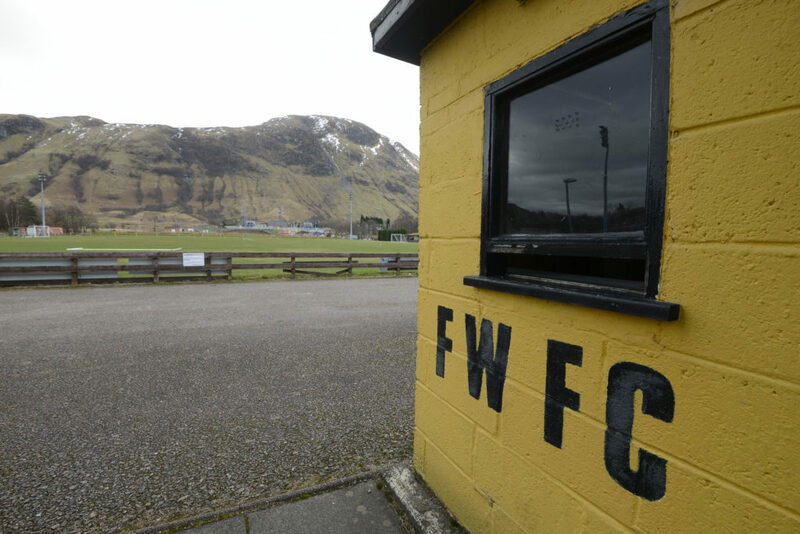 Fort William never gave up, however, and were pushing for another goal late on as a well struck free kick from Jordan Morrison was denied by the width of the post.